McNamara Signs has been creating magnetic car signs for Seattle customers for over 20 years. We offer high quality car magnets at affordable prices with fast turn around. We specialize in creating unique and durable vehicle wraps and magnetic vehicle signs for your business' car, truck or van. Magnetic vehicle signs make a big impression at an affordable cost. Magnetic signs placed on your vehicle instantly transform your car or truck into a traveling billboard. 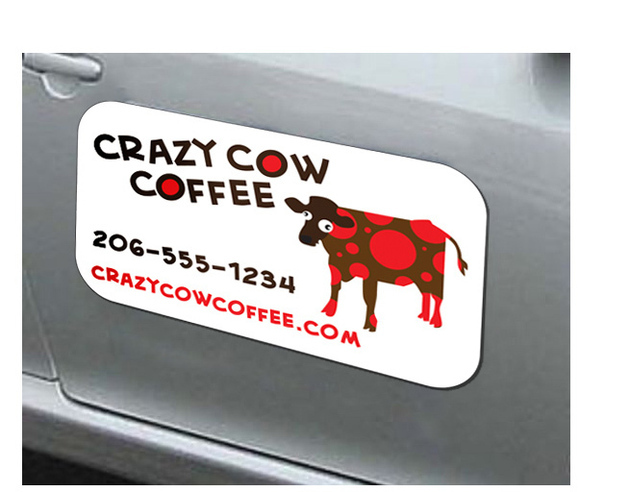 Car door magnets or tailgate magnets can be custom designed with your business name, logo, tagline or phone number. Full color and easy to put on, easy to remove, vehicle magnets are a simple and inexpensive way to extend your brand outside your office or workplace. Let us custom design a magnetic sign for your fleet of company cars and we’ll make you look great.